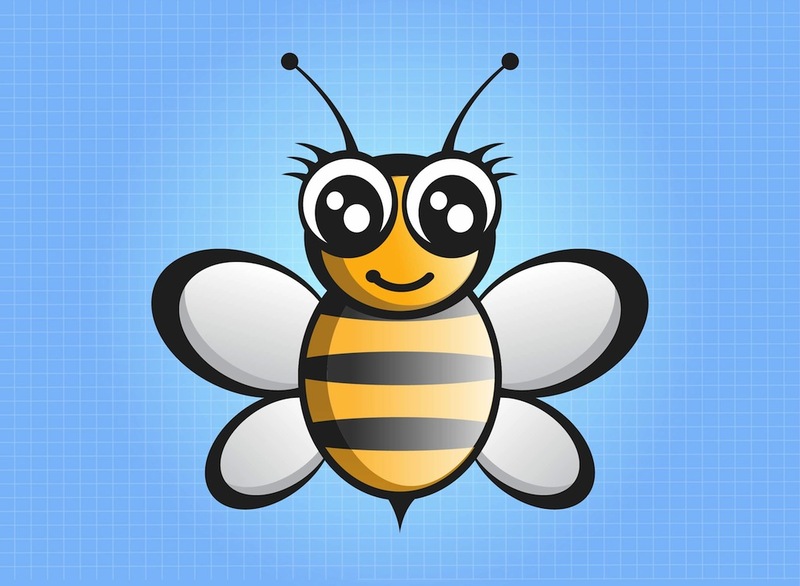 Adorable vector cartoon of a bee character. Anime style image with reflections and gradient colors. Smiling cute insect with small stinger and shiny eyes. Free vector graphics to design bees, honey, bee products, animals, nature, insects and fauna visuals. Download bee image for brand mascots designs. Tags: Animal, Character, Cute, Honey, Insect, Mascot, Wings.